Indonesia’s Supreme Court has ordered that 176 workers sacked by PT Micro Garment company should be re-instated after rejecting an appeal by the company against an earlier decision in favour of the workers. The company had claimed that a strike by workers had violated order made ​​by the company as well as labor law. 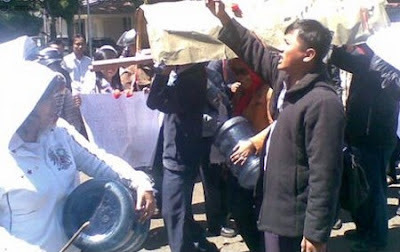 In July 2011, it filed a lawsuit in the District Court (Industrial court) in Bandung, West Java. In December 2011, a judge found in favour of the workers but the company appealed to the Supreme Court in 2012. The latest decision of the Supreme Court is final. “The Supreme Court verdict is good news for the 176 workers at Micro Garment,” said YCW fulltime worker, Ikim Rakhmat, “because the entire struggle and sacrifice and the wait times has been answered finally. “The Supreme Court’s decision confirms that the employer has violated the labor law. The workers are hoping that what the Supreme Court decided is not overlooked by entrepreneurs but immediately implemented,” he added.